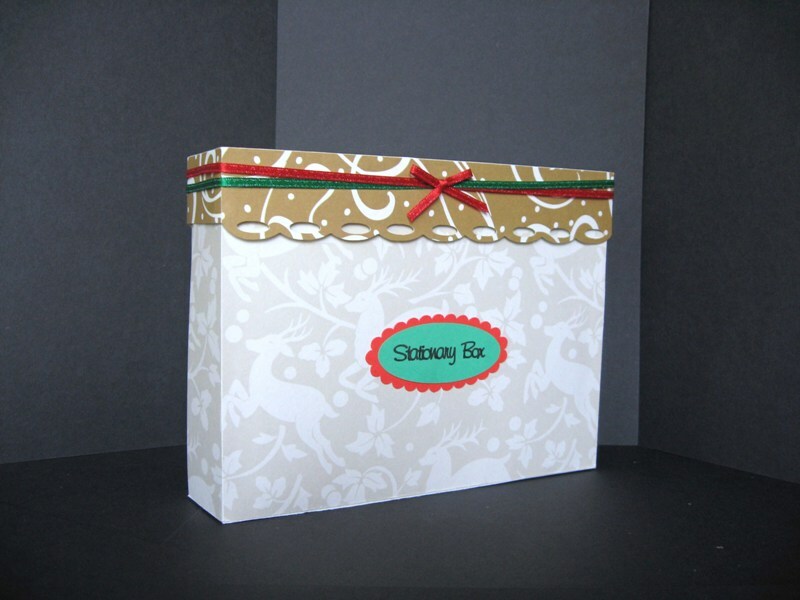 This Stationery Box GSD Template can be made to suit any occasion. I have given it a Christmassy feel with the card and the decoration I used but it could easily be made for a Birthday or even as Wedding gift. It could be made for a woman or a man. 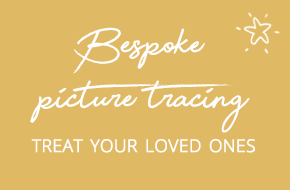 We all know how difficult it can be to make a card or gift for the men in our lives, brother, husband, father, grandfather or uncle and this would be a perfect gift to give for that person who has everything. Included in this set of templates are the card and envelope set, which are approximately 7x5 inch in size. 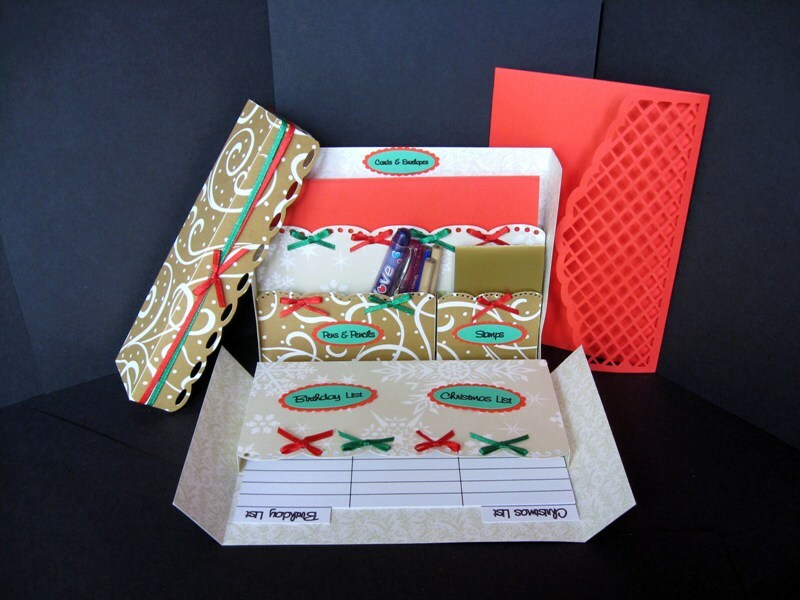 All the section labels and the Christmas and Birthday lists which can be seen in the drop down front of the box in the picture and most importantly the Stationery box itself with all of the pockets.